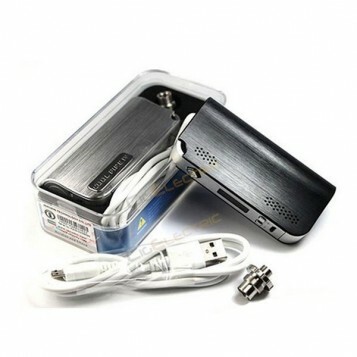 The CoolFire IV is a state of the art, high power, compact electronic cigarette battery in a “box mod” style. Featuring up to 40W of power and packed full of features, the beautifully designed CoolFire 4 is the perfect high capacity, variable voltage / wattage battery for new and experienced users alike. The Innokin CoolFire IV is a high power variable voltage / wattage device in a sleek comfortable design that fits perfectly in your hand. Featuring a massive battery capacity and the highest level of production quality and design, the CoolFire IV is THE battery recommended for those looking to upgrade from smaller “pen style” batteries, users wanting more power or those making the move to a variable voltage / wattage device. High quality bright OLED display screen displays a range of information for your device. 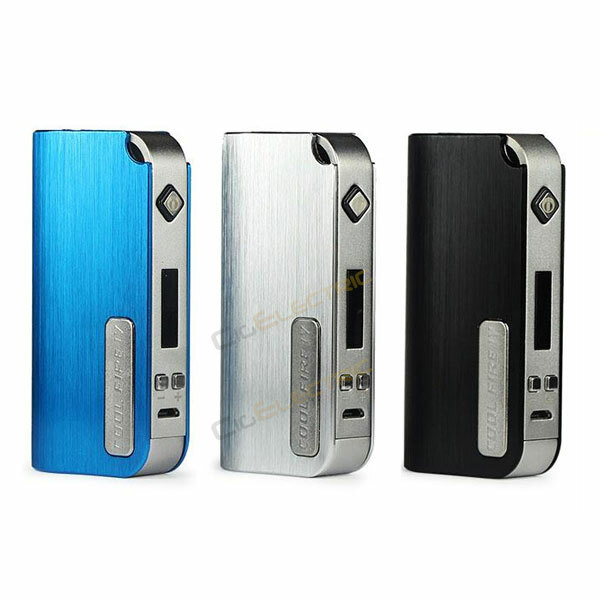 Current wattage / voltage setting, atomizer resistance, remaining battery charge display and battery voltage, puff counter, and puff timer. The Cool Fire IV can be used in either variable voltage or variable wattage mode. Featuring a voltage range of 3.0 – 7.5 volts and variable wattage range of 6.0 – 40.0 Watts. Utilizing DC current to deliver precise power and accuracy to your chosen atomizer, consistent power delivery means consistent and stable vapour production. A 510 connection with a spring loaded connection plate and durable stainless steel threading. Includes an ego adaptor for compatibility with any 510 atomizer or device. “Pass-through” functionality allows you to use your device even while charging. A 3 click on / 3 click off battery button as standard, with the addition of a safety power off switch on the base of the device. Simple 3 button interface for easy use and precise control. Battery Level Indicator: The Cool Fire IV displays your battery capacity via a green, yellow or red power button. Green = more than 50% remaining. Yellow = less than 50% remaining. Red = less than 20% remaining, you should charge your Cool Fire IV. When the Cool Fire IV is plugged in and charging a green power button indicates it is ready to be used in “vape while charging” mode. When fully charged the LED light will power off. Overheat Protection with ventilation design. Available in black, silver and blue. The CoolFire IV is the perfect device to use with the Innokin iSub-G Sub Ohm tank. Also available as a full starter kit including the Innokin iSub G clearomizer tank here.